When will be Cardcaptor Sakura: Clear Card-hen next episode air date? Is Cardcaptor Sakura: Clear Card-hen renewed or cancelled? Where to countdown Cardcaptor Sakura: Clear Card-hen air dates? 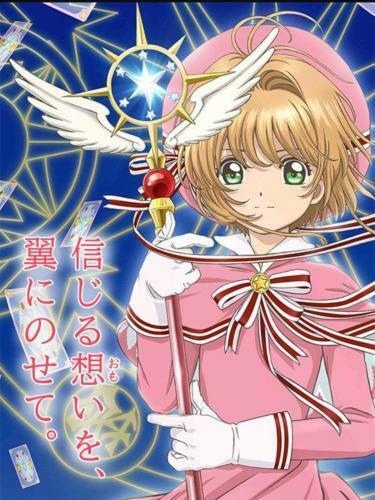 Is Cardcaptor Sakura: Clear Card-hen worth watching? Sakura Kinomoto, a 14 year old girl starts junior high school in Tomoeda along her friend Syaoran who has just returned to the area. After Sakura has a dream about a mysterious cloaked figure, all of her cards turn blank and are rendered powerless.Sakura and her allies begin a quest to find out what is wrong and soon after discover and capture new transparent cards using a new key. Cardcaptor Sakura: Clear Card-hen next episode air date provides TVMaze for you. EpisoDate.com is your TV show guide to Countdown Cardcaptor Sakura: Clear Card-hen Episode Air Dates and to stay in touch with Cardcaptor Sakura: Clear Card-hen next episode Air Date and your others favorite TV Shows. Add the shows you like to a "Watchlist" and let the site take it from there.